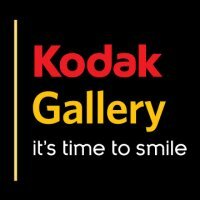 FREE 5x7 Photo Book at Kodak Gallery! from Kodak. These are really cute to give as a gift! I ordered mine and am waiting for it to come in the mail. Shipping was only $1.99. *Offer valid through 7/20/10. No coupon necessary. Receive one Free 14 page Small 5 x 7" Autofill Photo Book (regularly priced at $9.99). Discount applies to first Small 5 x 7" Autofill Photo Book only. Regular pricing applies to any additional pages.